It took more than ten years of lobbying for the first motor museum to be created in Britain; and when it finally did come, in the summer of 1912, it was a temporary affair, lasting just two months. Today the situation has much improved. 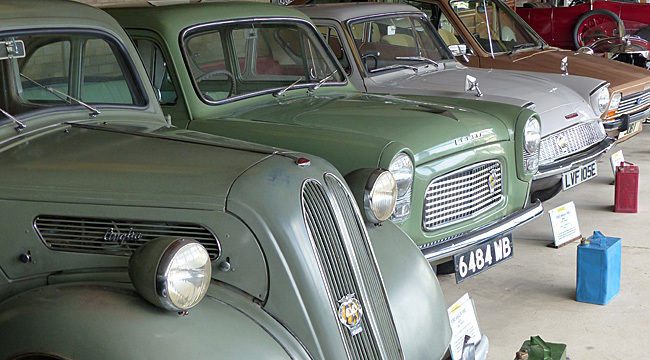 There are at least a half a dozen large specialist motor museums in Britain and, many more, smaller collections. Given the significance of the car to Britain’s engineering and social history, motoring exhibits are also not uncommon in local town and city museums. • The British Motor Museums’ website, www.britishmotormuseums.com, provides a regularly updated guide to motoring-related exhibits throughout the British Isles. • Motor Museums of Europe, William Stobbs, Arthur Barker Ltd, 1983. • The Book of the Motor Museum, Brian Jewell, DJ Costello Ltd, 1984. • The Formation and Legacy of Britain’s First Motor Museum, David Jeremiah, reproduced in Aspects of Motoring History 8, the Society of Motor Historians in Britain, 2012.